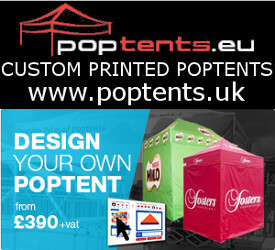 Perfect Christmas gifts & a Box Set for everyone! ‘Best of the BBC’s Box sets’ ! >> On Amazon & @ HMV, ASDA, Morrisons, Sainsbury’s and Tesco. Perfect Christmas guides & a Box Set for everyone! ‘Best of the BBC’s Box sets’ ! >> On Amazon & @ HMV, ASDA, Morrisons, Sainsbury’s and Tesco. 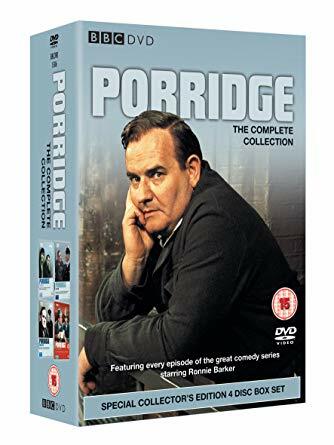 There are 10 box sets within the Best of the BBC range across a number of different genres, including: wartime comedy, classic comedy, Ronnie Barker and natural history/David Attenborough plus crime drama. 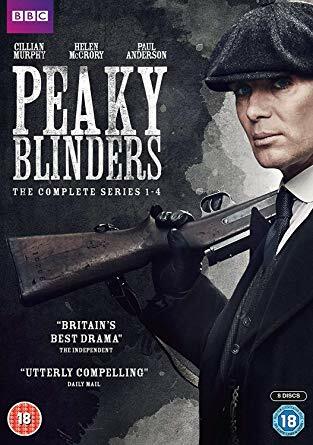 Fawlty Towers, Only Fools and Horses, The Two Ronnies, Porridge, Planet Earth II, Dad’s Army and, last but definitely not least, Peaky Blinders. TV gold basically! As Christmas is all about spending time with family while being snuggled up in doors, enjoying some festive food and the odd sherry or two, the box sets are a brilliant way to gather everyone on the sofa in front of the TV and spend some real quality time together. All of the box sets are available to buy from Amazon: http://www.amazon.co.uk/BestofBBCBoxsets and also from high street retailer HMV as well as selected supermarket stores including ASDA, Morrisons, Sainsbury’s and Tesco. Thomas Shelby (Cillian Murphy – Dunkirk, Inception) heads up one of Birmingham’s most feared criminal organisations. But when he sees an opportunity to move up in the world, it becomes clear that his ambition knows no bounds. With a spectacular cast that includes Sam Neill (Jurassic Park), Helen McCrory (Skyfall), Paul Anderson (The Revenant), Annabelle Wallis (Annabelle), Charlotte Riley (Edge of Tomorrow), Noah Taylor (Game of Thrones), Aidan Gillen (Game Of Thrones), Adrien Brody (Grand Budapest Hotel), Paddy Considine (The Bourne Ultimatum) and Tom Hardy (Mad Max: Fury Road), creator Steven Knight’s phenomenal vision of a family’s odyssey through British society is intense, deeply moving and wildly entertaining. 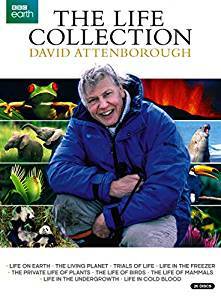 This box set contains all of David Attenborough’s ‘Life’ series – among the greatest and most beautiful nature documentaries even made. Life on Earth offers a chronological account of the flora and fauna of planet Earth over a period of 3,500 million years. 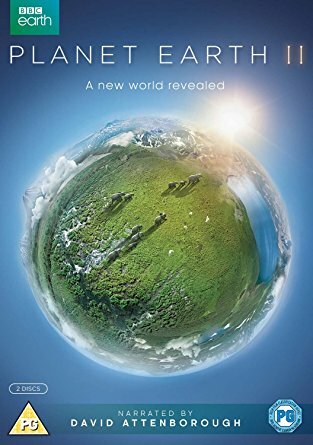 The Living Planet: An ambitious 12-part documentary that spanned the globe with portraits of each of the major geographical regions that offer a home to life. Trials of Life: Originally broadcast in 1990, it examines animal behaviour in all its infinite variety and in doing so we are allowed to witness some of the most enchanting animal personalities, as well as some of the most fearsome. Life in the Freezer reveals incomparable standards of natural history filming to trace Antarctica’s seasonal cycle from the long winter months when the formation of ice almost doubles its surface area, to the brief summer when the race to breed really heats up. The Private Life of Plants: Attenborough takes us through each aspect of plants’ lives travelling, growing, flowering, their struggle with other plants and animals, and the ingenious way they adapt to even the harshest of conditions. The Life of Birds presents a fascinating and exciting view of the world of birds, the largest animal group on earth, in a series of ten fifty-minute episodes. The Life of Mammals looks at why mammals are the most successful creatures on the planet. Life in the Undergrowth: Here David shows us not just bugs, beetles and creepy-crawlies, but scorpions and centipedes, mites and mantids, spiders and dragonflies. 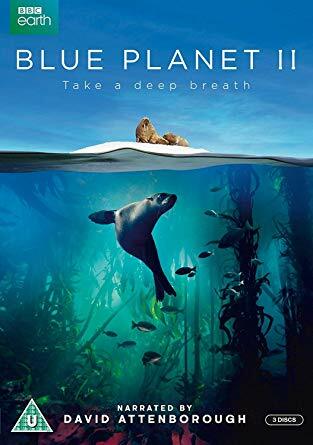 Captured in stunning Ultra-high definition detail, Planet Earth II is an immersive exploration of the jungles, mountains, deserts, islands, grasslands and cities of the world. Journey to the four corners of the globe to discover the extreme forces that shape life in each of these iconic landscapes and the remarkable ways animals manage to overcome the challenges of surviving in the wildest places on Earth. From eye-to-eye encounters with incredible creatures to epic journeys through breath-taking wildernesses, experience the wonder of the natural world as never before. 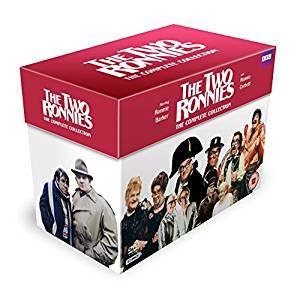 The collection comprises all 93 episodes from the series, including the four Christmas specials, as well as the two silent films and Corbett’s 2010 programme, ‘The One Ronnie’, which featured special guests including Harry Enfield, Catherine Tate, Miranda Hart, David Walliams and Matt Lucas. 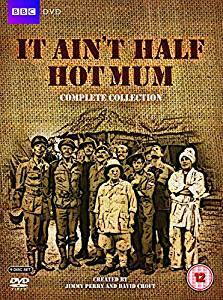 This complete collection contains all eight series of It Ain’t Half Hot Mum, the classic BBC comedy series which follows the exploits of a Royal Artillery Concert Party in India (and later, Burma) during the Second World War. Running from 1974 until 1981, It Ain’t Half Hot Mum was one of the most popular comedies on British television. David Croft and Jimmy Perry, writers of Dad’s Army, once again established a brilliant group of comic characters including the bombastic, eye-rolling Battery Sergeant Major Williams; Indian Bearer Rangi Ram; drag artist Bombardier ‘Gloria’ Beaumont; diminutive Gunner ‘Lofty’ Sugden with a hauntingly beautiful singing voice, and the effete and ineffectual Captain Ashwood. The wartime antics of the Walmington-on-Sea Home Guard were an essential part of the nation’s entertainment in the years spanning 1968 to 1977. Captain Mainwaring, Sergeant Wilson, Corporal Jones and Privates Pike, Godfrey, Walker and Frazer would create enough hilarity in their own incompetence and heroic, if misplaced endeavours, but add a vicar, a verger, an overbearing ARP warden – and Pike’s mum and the whole thing gelled into a comedy masterpiece. 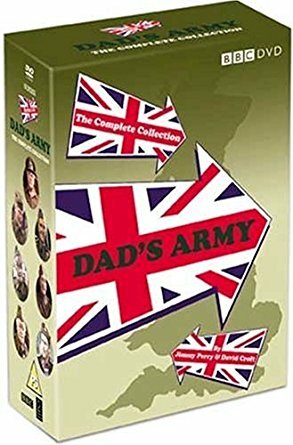 Dad’s Army had the lot: class tension; comic characters; farcical situations and hilarious scripts by Jimmy Perry and David Croft and is cherished as one of the nation’s favourite situation comedies. The Christmas Specials and all 3 surviving episodes of Series Two. 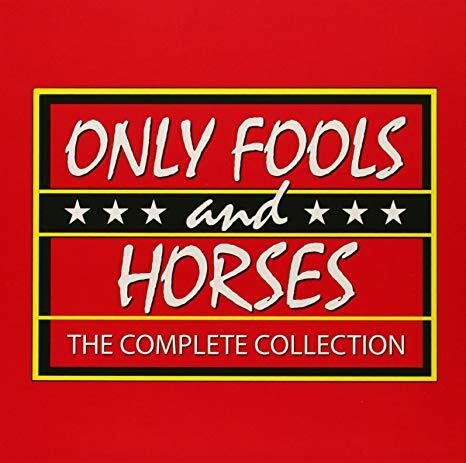 The first ever episode of Only Fools and Horses was broadcast in September 1981. Over seven series and fifteen specials, Del, Rodders and the gang have given us so many precious moments – the chandelier incident, the yuppy bar fall, the Batman and Robin chase – but it is the characters, the storylines and the great scripts that have earned Only Fools and Horses the enduring love of the public. Every “lovely jubbly”, every exhaust-smoking trip of the Reliant Robin and every tear-filled twist kept millions of viewers glued. And they are all here – in the complete story of the Trotters of Nelson Mandela House: from the very first scam to the final ‘bonjour’. behind the scenes special DVD from 2002. This Special Edition marks the 30th Anniversary of one of the greatest situation comedies British television has ever seen. 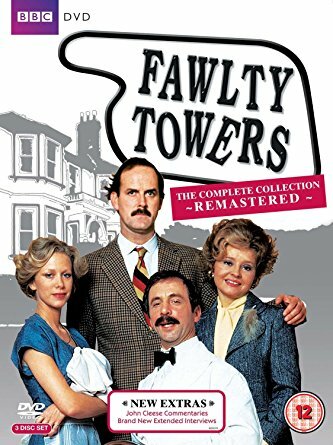 Every episode of the BAFTA winning sitcom has been fantastically remastered and for the first time ever John Cleese provides audio commentaries on all 12 episodes.